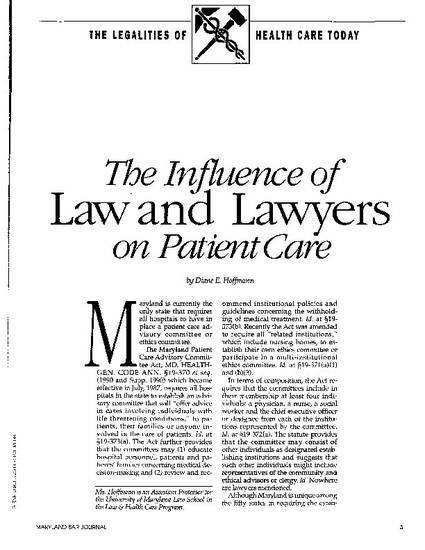 This article is reproduced with the permission of the Maryland Bar Journal, published by the Maryland State Bar Association. Published in the Maryland Bar Journal, v. 24, no. 2, March/April 1991, p. 3-6.